The date is significant – 6th of May 2016, this may be the date that horse racing changed, the date equine sports medicine changed, the date that we all changed a little. What happened? The announcement by Hugo Palmer of his decision to withdraw 2000 Guineas winner Galileo Gold from the Epsom Derby was informed by the results of a genetic test. Whichever way you look at it, such tests are here to stay. The modern Thoroughbred can be traced back some 300 years to the arrival, in England, of 3 stallions in the 17th and 18th centuries, providing the paternal genetic basis for the entire breed. The natural athleticism has been selected for, and enhanced by breeders ever since, aided by management, nutritional and environmental influences, producing the modern equine athlete. Whilst calculated environmental influences play a large role (up to 65%) on a horses’ development, a significant proportion then lies in athletic inheritance. It is however, both damning and interesting to note that winning times in the Classic Thoroughbred races, have improved little in over 100 years. The successful mapping of the horse genome in 2007 has provided a tool for evidencing apparently desirable traits such as speed and muscle development along with detrimental genes (Webbon 2012). The commercial applications are already evident in some breeds and breed societies such as Foal Immunodeficiency Syndrome in Fell and Dale Ponies, in Lavender Foal Syndrome and Combined Immunodeficiency in Arabs and perhaps most significantly, due to potential numbers involved, in Polysaccharide Storage Myopathy in a variety of sports horses. The genetic tool then would have a potential influence upon carrier identification influencing breeding &/or upon the long term environmental impact, husbandry, diet and training schedules that may occur in for example, carriers of PSSM genes. As a result, we can only hope to improve their direct welfare and reduce the potential for severe cases of homozygous matings. This is extremely encouraging and the additional use of SNP (Single Nucleotide Polymorphism) has allowed mapping of single base variations between DNA sequences and ultimately identification of sequences within “phylogentically superior” horses that may be used as markers for their “superiority”. Most notably this has identified myostatin (MSTN) as a genetic marker and provides the thrust of commercial interest due to performance implications and was the basis for Galileo Gold’s withdrawal. As highlighted, despite years of “trained eyes” looking over horses and selecting the best apparent traits, winning times in the Classic Thoroughbred races, have improved little. Why this is, is hard to say other than be flippant in the skill of the apparent “trained eye”. 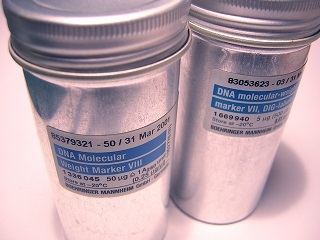 Of significance is the use of such genetic tests to influence the breeding program. Using the gene test to inform stallion selection (selecting for sprinters with homogeneous MSTN foals known as C:C) for each mare, one breeder decreased his proportion of T:T foals (those best suited to longer distances) produced from 18.0% to 6.8% in 1 year (2011), decreasing it further to 4.3% in 2 years (2012). Notably, of the 30 male foals produced in 2012, none had a T:T genotype. This speed of change is incredibly rapid when compared to simple “eye-ball” or “self-selection” breeding. The question is are we promoting natural selection or genetic engineering and what does this mean? How will it impact on horse numbers and their treatment (especially if their “genetic blue print” is not deemed advantageous), on the acceptance of blood screening at sales for example, or in the doomsday scenario on future loss of heterogencity within the Thoroughbred breed especially, leading to more potential cases of “selected” diseases such as laryngeal hemiplegia. Irrespective, the opportunity to breed horses with greater muscle mass will appeal with the opinion that if “we” provide the apparent best horse, the rest is up to you. This will influence practical breeding with breeders attempting to optimize progeny to a specific genotype, to breeders with foundation mares and stallions utilising genetic profiles to financial advantage, and importantly to trainers and owners in influencing sales decisions, veterinary pre-purchase examination protocols, as well as then reducing operational costs by introducing tailored exercise programmes for individual horses. However, a genetic “result” does not make a phylum. Heritability is variable and highlights that individual differences may be attributable to genetic differences. This provided me with the dismay I felt as I heard Mr Palmers’ decision. The heritability variation makes environmental factors very important and emphasizes that the presence of a specific gene or variant, with its proposed advantages, is specific to a particular population in a specific environment and emphasizes the continuing need for appropriate veterinary advice on training, environmental and disease modification aspects. and again these are becoming part of the overall “genetic assessment”, based on a blood sample with increased cost, but should highlight that such conditions do not or are not simply under genetic control and that veterinary advice is still vital. I certainly feel that whilst this is at least in its relative infancy we need to ensure that we as vets in the field understand or consider our role in this, as advocates for animals, for correct medical procedure and explanation, and as modulators of expectation not only based on the results of a black and white test.